women | And then SHE walked in. . .
And then SHE walked in. . . In the late 1800’s two forces developed simultaneously, bicycle engineering and the women’s suffrage movement. Frances Willard, founding member of the WCTU, took up the sport at the age of 53 in Evanston IL. But it caught the fancy of young women as well. The trip was reportedly set in motion by a wager that required Annie not only to circle the earth by bicycle in 15 months, but to earn $5,000 en route, as well. This was no mere test of a woman’s physical endurance and mental fortitude; it was a test of a woman’s ability to fend for herself in the world. While Annie died in obscurity, a documentary about her extraordinary stroke debuted in April 2013. 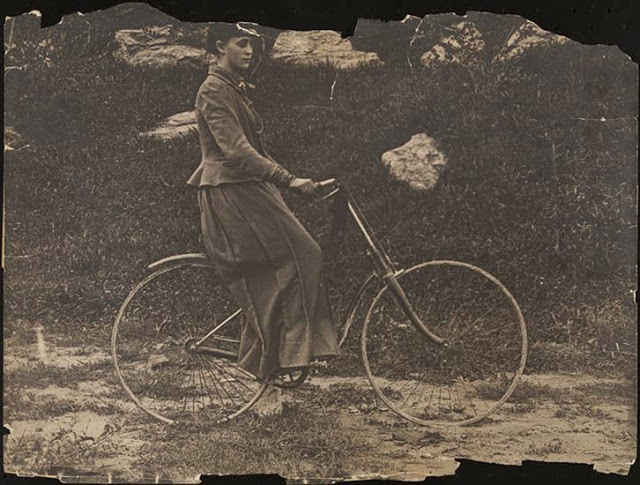 During her trip she adopted clothing more suitable to riding, including men’s attire and bloomers. 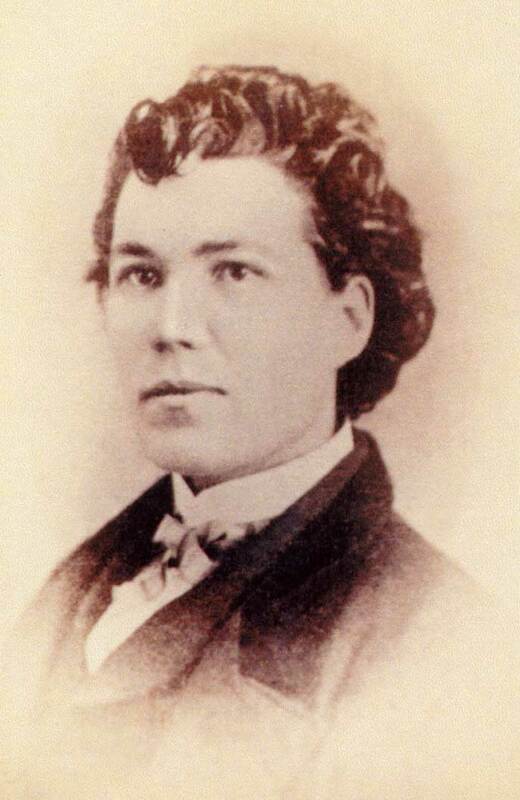 Like a surprising number of Michigan women, Sarah Emma Edmonds (Flint) played an active combat role in the Civil War. Women were drawn into service through various ways – sometimes they would enter with a husband, brother or boyfriend; sometimes for the higher pay rate; and sometimes just because they felt it was their patriotic duty. Sarah/Frank Thompson went in as a nurse April 25, 1861, volunteering for spy duties when a call went out from McClellan’s command. After some intense study she aced the interview and won the position. She used various disguises and completed 11 spying missions behind enemy lines in all. Women who did not take part in combat supported the effort in other ways, raising funds for the soldier’s provisions and medical care through Sanitary Fairs. 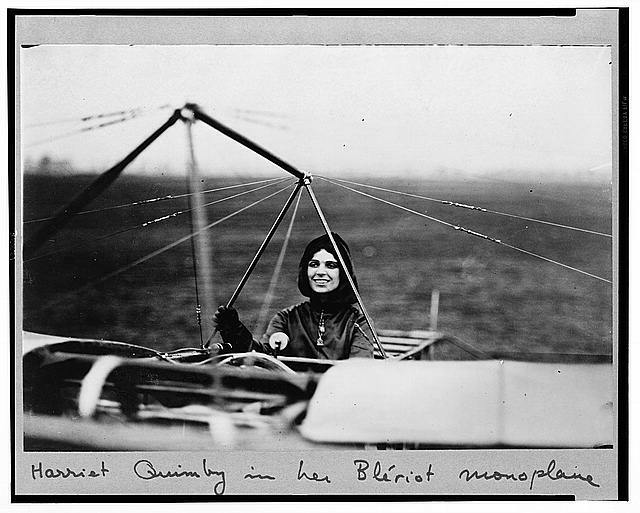 Harriet Quimby is the perfect woman for my first post: she was born very close to here (in Arcadia, Michigan), she was a writer, photographer, race car driver AND the first woman in the US to receive a pilot’s license. She also did it with style, creating a one-piece purple flying suit so she would be recognizable. She was the first woman to fly across the English Channel, but as the Titanic sank two days earlier, the accomplishment got lost. Flying captured the imagination of everyone in a way hard to imagine today. 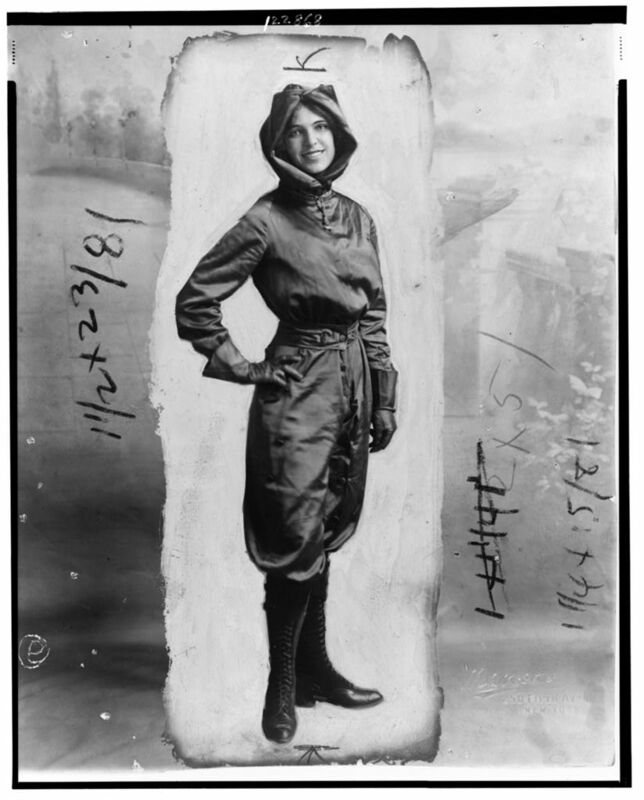 Flying clubs popped up across the globe, leading eventually to Amelia Earhart and the WASPs (Women’s Air Service Pilots) who we’ll take a look at another day.